Keep your valuables safe in Halo style! This Halo Spartan Locke Wallet was inspired by Spartan Locke's armor. 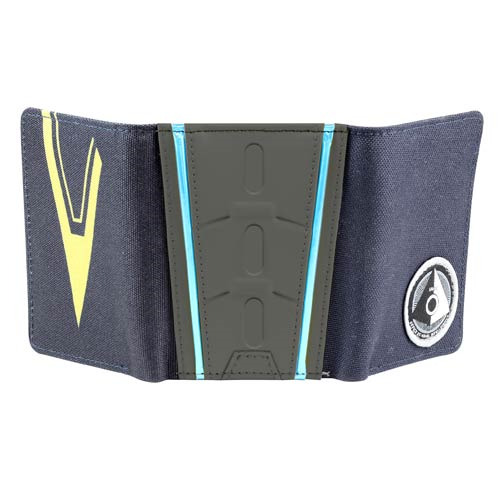 Complete with a debossed faux leather exterior to simulate the Spartan armor chestplate, the wallet even comes with a Halo 5 REQ Pack downloadable content code! Ages 13 and up.